The baking mix category was stale, with no sign of improving. We gave people a new reason to pick up a box of Betty Crocker. By planting baking mix in the card aisle. Bring “vibrant life” to a mature CPG brand and shake up the whole category. The baking mix category has been declining 2-3% year over year since 2015. And Betty Crocker is taking the biggest hit. To make matters worse, younger audiences (18-34) aren’t buying boxed cake mix. We need to grow the category by creating more bake-worthy occasions in everyday life, inspiring the occasional baker to pick up our box more often. The thoughtful friend isn’t baking to show they care anymore. Instead, they’re buying a succulent and writing a note. Show that baking is the best way to say you care. We took over the card aisle to position cake as the ultimate way to say what you mean. After man-on-the-street interviews revealed that Betty Crocker is generally associated with old-school-apron-wearing-homemaking (doilies included), we dug a little deeper. We planned two focus groups to understand why millennials aren’t baking as much as older generations. If Betty Crocker is actually about communication, how can we show it? 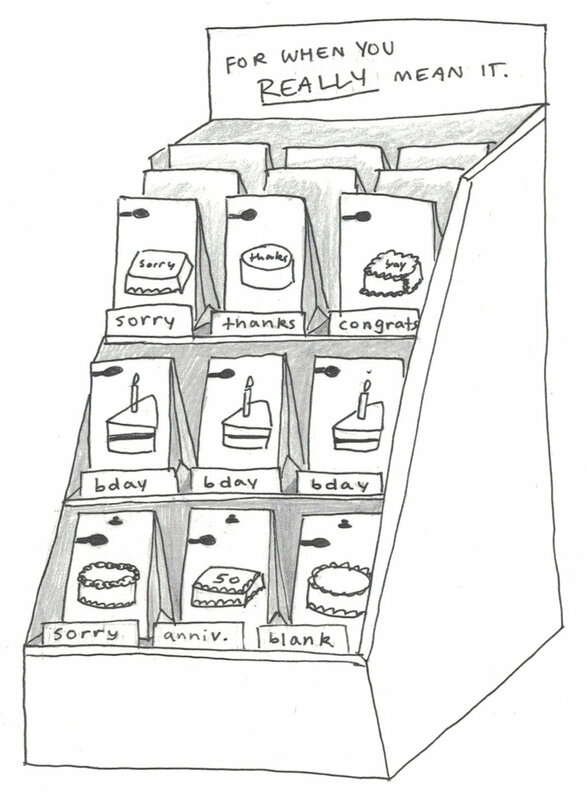 By selling cake in the greeting card aisle, of course. We designed a Betty Crocker card aisle installation on which to sell our cakes. Cake Meme Generator, Say it with Cake Food Truck, Cake Doilies. Caregiving is at the core of the Betty Crocker brand. But in 2018, the image of the classic homemaker isn’t exactly relevant. So we found a new take on care that didn’t feel stale or gender-specific. 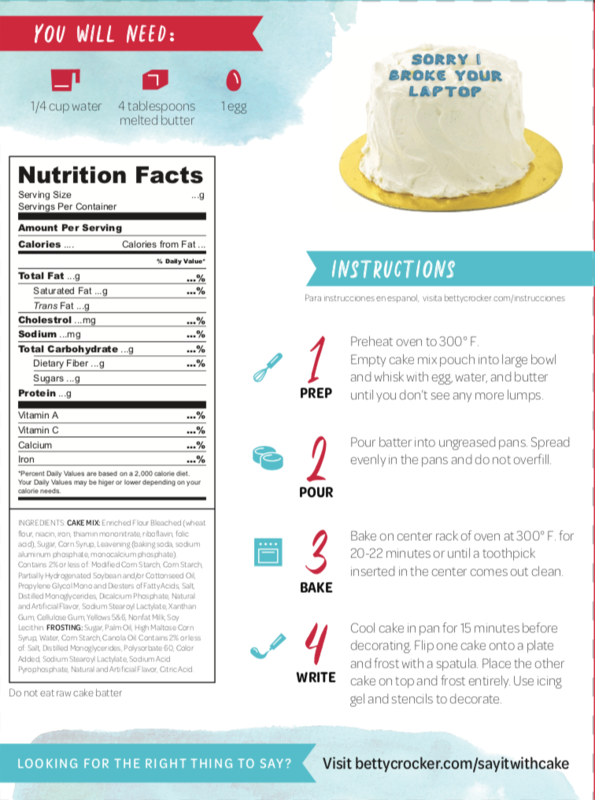 The update to the packaging, both in content and in message, encourages more everyday baking. Baking today is associated with either the out-of-reach confections of the Great British Baking Show or the dated stereotype of the 1950s homemaker. This campaign gives people permission to bake without expertise.